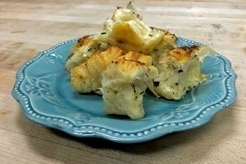 Savory Croissant dough pieces tumbled with fresh rosemary, minced garlic and shredded Parmesan cheese. 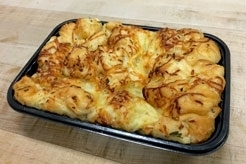 Warm in oven-ready tray for 5 min, remove to pull-apart the pieces and enjoy! 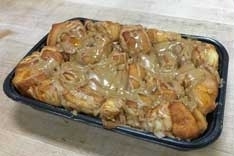 Appetizer for 5-6. Try with a little tomato sauce for gourmet pizza bites.